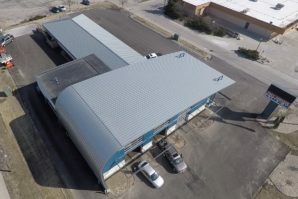 Make sure your business gets the best in durable, waterproof, energy efficient roofing that adheres to manufacturer standards. EPDM (Ethylene Propylene Diene Monomer Rubber) is a high tensile strength, single-ply membrane ideal for long-term watertight integrity. 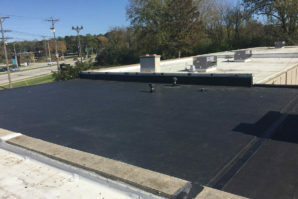 EPDM is lightweight, ideal for new construction and retrofit systems without adding excessive weight to the roof deck. This material can withstand the hottest and coldest of Midwest weather without splitting or cracking. Liquid-applied monolithic coating is commonly used for maintenance on flat roofs. 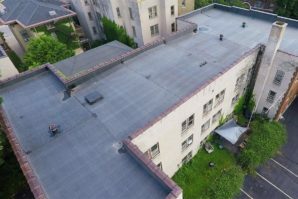 Roof coating is a premium, 100% silicone, moisture cure coating designed to reflect the sun's heat and UV rays, and serves to protect many types of roofs. Its moisture cure chemistry creates a very aggressive chemical bond with the roof; this provides permanent resistance to ponding water. It is extremely durable because of its superior ability to seal and protect. No matter what style you have, metal roofs can be an attractive option because of their longevity, minimal maintenance, and energy efficiency. 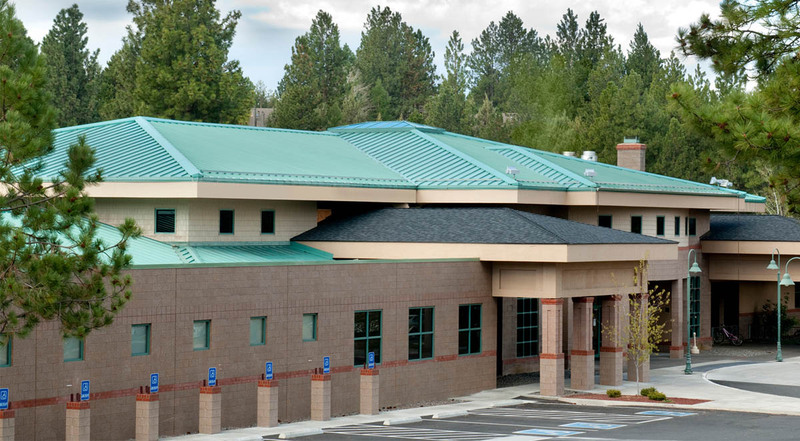 Tin, Steel, Copper, and aluminum are just some of metal roofing that BCI offers. 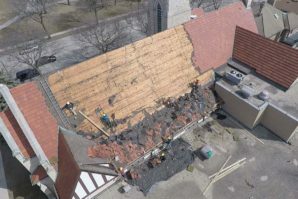 If you are looking to re-roof on a budget, asphalt is simple and cost-effective solution. 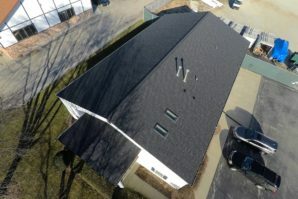 This is by far one of the most popular shingle choice out there, and for good reason! 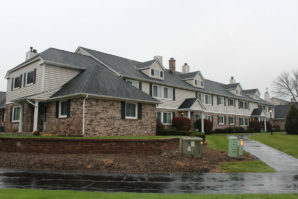 Asphalt shingles provide adequate protection and tasteful appeal at only a fraction of the cost of other systems. With a life expectancy of up to 25 years, wood shingles offer a natural and rustic look and is an ideal material for quality roofing overall, to say nothing of the plethora of options you have in wood type. Be it cedar, redwood, southern pine, or other sorts of lumber, you can stylize your home simply by selecting a wood shingle that suits your aesthetic. Wood shingles also provide your home with natural insulation and is up to two times more effective than asphalt shingles. Composite slate tiles are stronger than traditional slate tiles. Polymer composite roofing tiles are not only beautiful, but durable enough to protect and enhance the value of your building. Offered in a variety of color patterns or blends, this tile can give your place the attractive, authentic look you’re looking for.